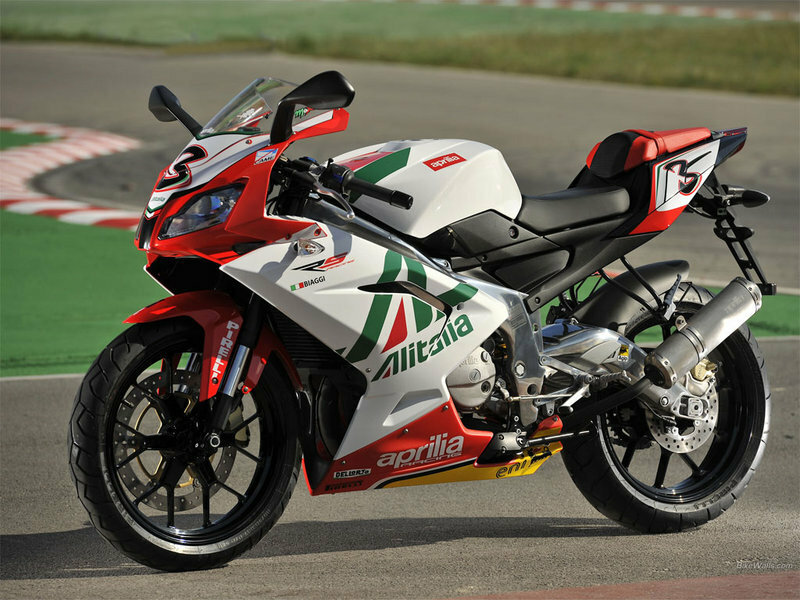 Aprilia revealed the 2013 version of its RS 125 model. The bike features Aprilia’s latest technologies developed using the experience gained in GP racing. As far as design goes, the Aprilia RS 125 is distinguished by its sharp lines which give a sporty and aggressive look. The sporty look of the bike is enhanced by the GP inspired tail and the crossed spoke wheels. The Aprilia RS 125 is propelled by a single cylinder, two stroke engine which features crankcase reed valve intake, liquid cooling, an anti-vibration balancer shaft and an automatic mixing system. 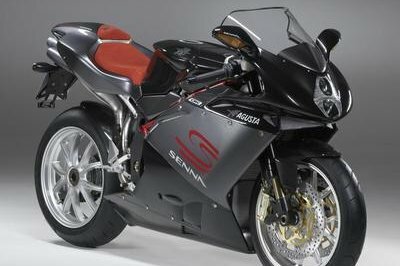 To make its engine as efficient as possible, Aprilia combined it with a catalytic converter and precision carburation. Thanks to these two features the engine is able to meet the Euro 3 emission standards. The bike is also fitted with a set of dependable breaks – 320 mm front and 220 mm rear discs. 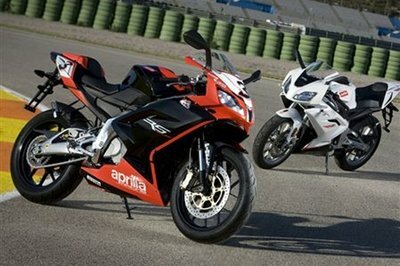 Hit the jump for more information on the 2013 Aprilia RS 125. Liquid cooled, single cylinder two stroke. Aluminium cylinder with Nikasil coated liner. Read valve intake. Separate lubrication. Homologated to Euro 3 standards. Aprilia has always been the undisputed leader in 125 cc supersports, a market segment in which Aprilia has pioneered new concepts and advanced solutions, and developed technology that others have struggled to follow. Like all Aprilia motorcycles, the RS 125 has benefited from the sophisticated technology that has been developed over years of success in GP racing, and quickly transferred into production. Over the years, the RS 125 has forged a reputation as the standard setter for sports 125’s. 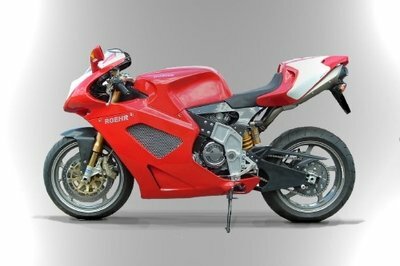 Sales success has come naturally too, with the RS 125 topping the sales tables on major European markets. The RS 125 is the inevitable choice of riders entering Sport Production racing. 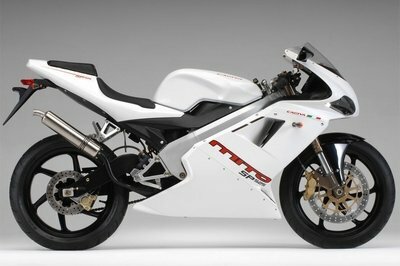 And rightly so, because when the competition gets tough, there is simply no other bike like the Aprilia RS 125. The Aprilia RS 125 offers young riders the best in components and equipment, and a concentration of technical refinements worthy of a flagship supersport. The mean, cutting edge look of the new RS 125 tells you that this is a professional racing machine. The styling of the RS, like that of all Aprilia sports bikes, is the result of painstaking aerodynamic research. The fairing, for example, was perfected by extensive wind tunnel testing, to guarantee great wind protection and minimum drag for maximum racetrack efficiency. The fairing, windshield and tail not only look mean and aggressive, but allow the RS 125 to reach a blistering top speed, eliminating all turbulence around the rider and allowing man and machine to become one. The latest generation twin halogen headlight also adds to the mean look of the new RS 125, and delivers a high power light beam for enhanced visibility and safety at night. The sleek tail looks exactly like the tail of a GP racer. Thanks to the effort put into the design of the RS 125’s tail, not even the passenger seat disturbs the bike’s impeccable lines. The crossed spoke wheels are not only lighter and more stylish, but safer and more reliable too. The powerful but reliable, single cylinder, two stroke, Rotax-Aprilia engine needs no introduction. Over the years it has won a reputation for being unbeatable on the track and dependable on the road. Still today, this engine boasts technical solutions that are state-of-the-art for two strokes, including a crankcase reed valve intake, liquid cooling, an anti-vibration balancer shaft, and an automatic mixing system. The RS 125’s engine has been constantly updated over the years to keep in line with the latest emission control legislation without penalising performance. 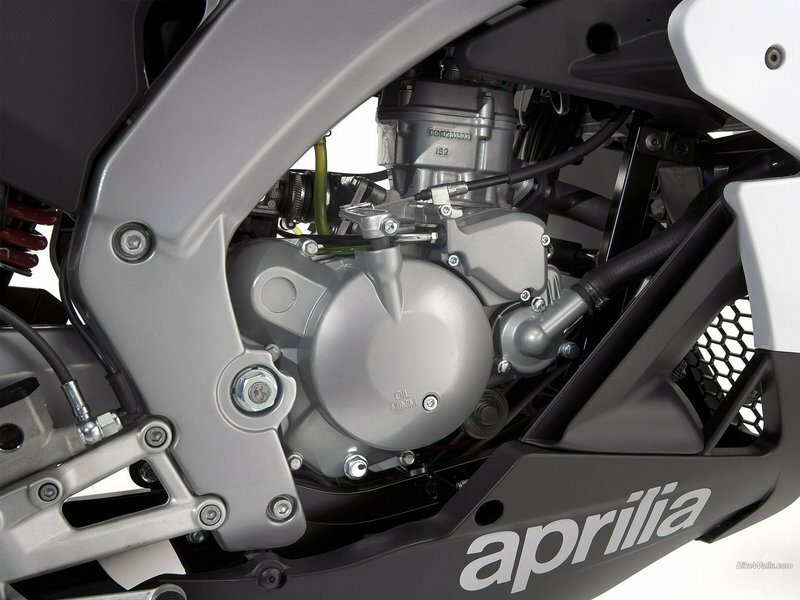 A catalytic converter and precision carburation has won Aprilia’s single cylinder two stroke homologation to Euro 3 standards. And the amazing thing is that this has been achieved without losing out on performance: the Aprilia RS 125 engine remains the reference point for all 125 cc powerplants. 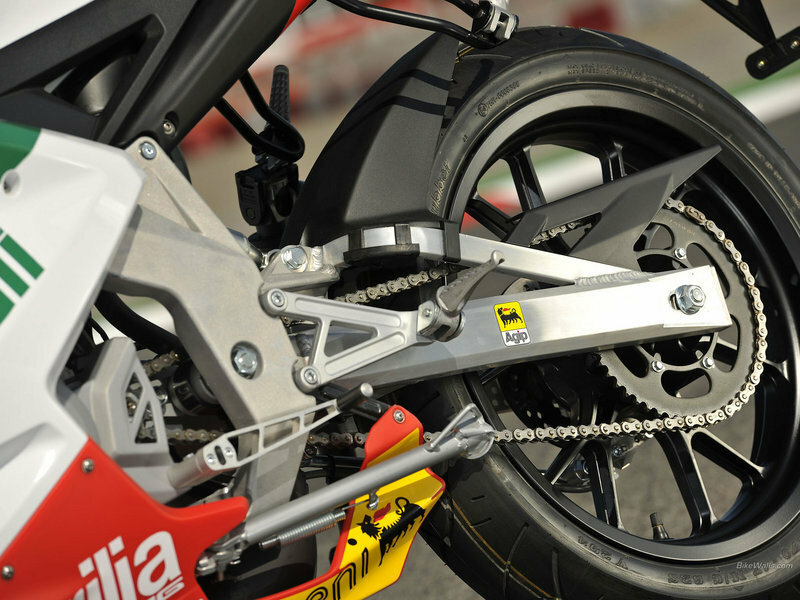 The box section, aluminium alloy swingarm has the highest torsional rigidity of all production 125 cc swingarms. Differential side members enable the exhaust to follow a path that maximises engine performance and enables more acute angles of lean to be achieved on bends without risking dangerous contact with the asphalt. The suspension too plays a fundamental role in ensuring not only the RS 125’s performance, but its safety and comfort too. The RS 125 can rely on an upside-down fork that has been optimised for maximum performance on the racetrack while also delivering a more satisfying ride on public roads. The rear suspension features rising rate linkages based on Aprilia’s 125 GP racing technology, for excellent traction and superb comfort even over uneven road surfaces. 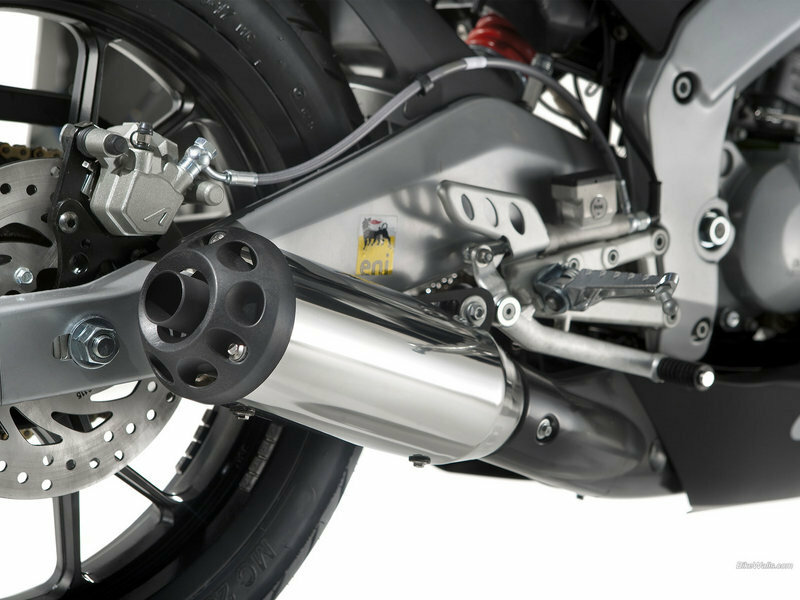 The hydraulic monoshock that provides the damping for the swingarm is also adjustable in spring preload. Like any self-respecting supersport motorcycle, the RS 125 has to have the best when it comes to components. 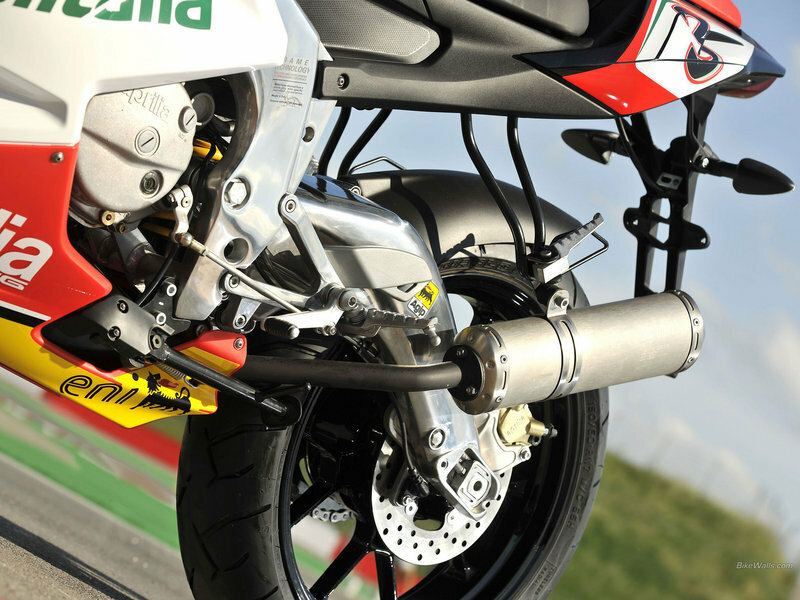 The braking system is the best available, and designed for maximum efficiency under competitive riding conditions. The front brake is a genuine state-of-the-art, high performance system with a radial caliper and four opposed pistons. In addition to the 320 mm front disc, the system also incorporates a radial master cylinder and aeronautical hoses for maximum precision and unrivalled braking power. The rear disc is 220 mm in diameter and is also equipped with metal braided hoses for perfectly balanced, high performance braking. 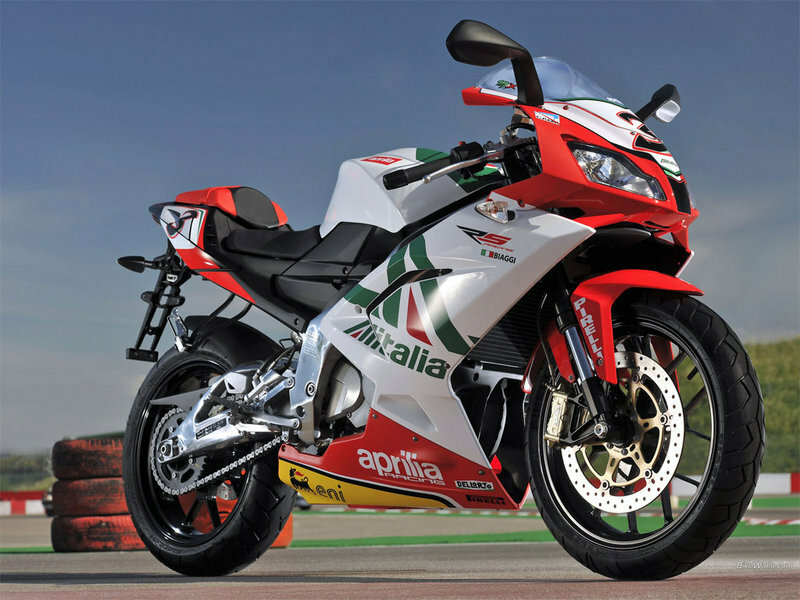 The Aprilia RS 125 is packed with prestige components. Compact and impressively light in weight, the instruments include an analog rev counter and a multifunctional digital display with an on-board computer that can be operated from the handlebars. The speedometer, rev counter, coolant temperature gauge and exclusive racing chronometer put you in total control. The on-board computer even has provision for interfacing with the optical finishing systems used on racetracks. Engine Liquid cooled, single cylinder two stroke. Aluminium cylinder with Nikasil coated liner. Read valve intake. Separate lubrication. Homologated to Euro 3 standards. Fuel system Dell’Orto VHST 28. Lubrification Separate mixing with variable displacement, volumetric pump. Primary drive Gearbox: 63/19 (3.31). Final drive Chain: 17/40 (2.35). Frame Sloping twin-spar frame in thin wall box section cast aluminium, with reinforcement cross-ribbing. Front suspension Upside down hydraulic fork, Ø 40 mm. Wheel travel 120 mm. Brakes Front: Floating Ø 320 mm disc. Radial caliper with four differential diameter pistons, Ø 32 mm – Ø 27 mm. Rear: Single Ø 220 mm disc. Caliper with two Ø 30 mm pistons. Wheels Aluminium alloy. Front 3.00 x 17”; rear 4,00 x 17”. Tyres Tubeless radial. Front 110/70 17”; rear 150/60 17”. Fuel tank capacity 14 litres (3.5 litre reserve). Carburettor The 21 kW RS 125 (sold on the German market) is still equipped with a Dell’Orto PHBH 28 carburettor and is homologated to Euro 2 standard.